I know, sorry, yet another Victoria's Secret perfume post but I just can't get enough of them. I really do believe that the VS Perfumes are rather underrated. Everyone goes on about their Body Mists and don't get me wrong, they are great but the perfumes are even better. Their Bombshell Perfume is perhaps my favourite perfume ever, and it is definitely the most used in my little collection. I am yet to meet a Victoria's Secret Perfume I haven't liked and the Victoria's Secret Intense Eau de Parfum is definitely no exception. "No limits. Too much is never enough with an intoxicating blend of salted praline coconut and creamy florals in a light mist. Intense features notes of salted praline coconut, sueded musks and plum noir." The Victoria's Secret Intense Eau de Parfum smells utterly heavenly. It is fruity and musky, something ever so slightly deeper than the usual everyday perfumes I go for. I am a massive lover of soft, crisp, floral scents but this? This is right up my street. With top notes of saffron and plum, middle notes featuring apple and floral and base notes featuring coconut, praline and musk, this is a perfume everyone should try. It reminds me of a lighter version of the Marc Jacobs Decadence Perfume which I find ever so slightly too deep for my personal taste but Intense is lighter and more wearable for everyday. I bought this perfume in the rollerball version as I find them easy to carry around with me all day, although after trying it out I would definitely consider buying a full-sized bottle for home use. Longevity wise I find that the initial Intense smell does fade away after about an hour of wear but it leaves behind a really warm, musky and dark scent which is just as lovely. I don't find that I lose the scent entirely throughout the day but as I carry the perfume around with me anyway, I do like to re-apply it again during the day, just so everyone else around me can have the pleasure of smelling it too. Overall, I actually think I may have found a new favourite perfume. I thought I was more of a fresh, floral, clean cotton sheets kinda girl but it turns out that I'm not. This musky, plummy and fruity perfume is perfect for day and night and whilst it might not be the longest lasting perfume I own, I sure as hell don't mind re-applying it, not when it smells this good. I know, I know. I am still going on about festive related beauty and skincare products but I just can't help myself. This is my one and only Boxing Day find. I can't remember how much it cost originally, probably around £35 but in the Boxing Day sale it was £12. £12! For Liz Earle! The Superskin Concentrate alone costs £21 so how could anyone resist that sort of price for three wonderful products, I do not know. I do, however, know that you can't buy this Liz Earle Daily Rituals Set anymore as it was released just for Christmas time but I thought this post would be useful to introduce everyone to some Liz Earle products other than the famous Cleanse and Polish. 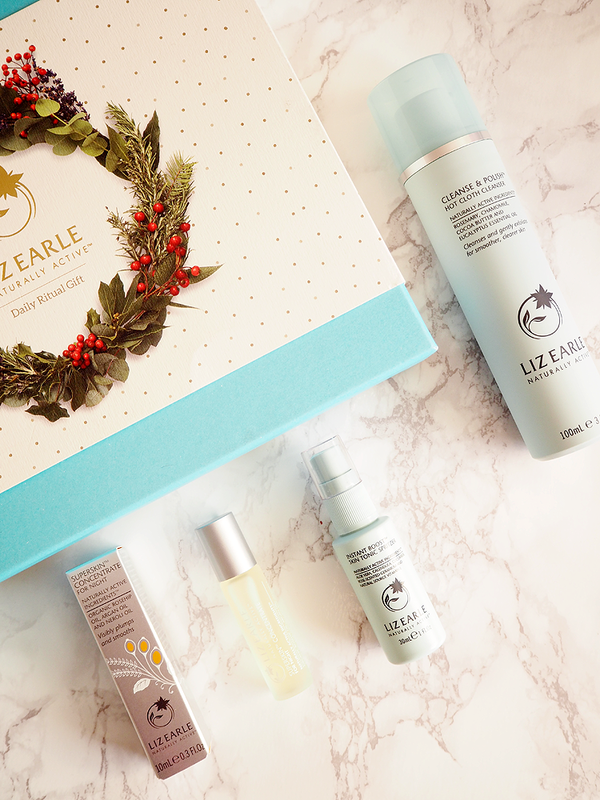 "This festive season, discover the difference that is Liz Earle with this selection of daily skincare must-haves. This gift set features: Cleanse & Polish Hot Cloth Cleanser 100ml pump with 2 pure muslin cloths, Superskin Concentrate for night 10ml rollerball & Instant Boost Skin Tonic 30ml spritzer.Beautifully presented in a specially-designed Christmas gift box, these three skincare heroes will help reveal radiance, no matter what skin type." The Liz Earle Daily Rituals Set features a bottle of the famous Liz Earle Hot Cloth Cleanser, 2 pure muslin cloths, a Liz Earle Superskin Concentrate For Night and the Liz Earle Instant Boost Skin Tonic. I absolutely love the Hot Cloth Cleanser, as I am sure everyone else does, but this Set is a really great way of trying out some of the other products Liz Earle has to offer as, in all honesty, I probably wouldn't have chosen the Superskin Concentrate or the Instant Skin Boost otherwise. "Rich and creamy, this hot cloth cleanser quickly removes daily grime and make up (even stubborn mascara) leaving all skin types clean, soft and radiant. With purifying eucalyptus essential oil, toning rosemary plus soothing chamomile and cocoa butter." There is no doubt that the Liz Earle Hot Cloth Cleanser is the best cleanser around. It has won over 100 awards, it does exactly what it claims to do whilst remaining pretty purse friendly. It is the creamiest cleanser I have tried which leaves the skin feeling wonderfully soft without that horrible tight feeling you are usually left with, It removes all make-up and grime and your skin feels incredibly soft and thoroughly clean after every use. I thought the Philosophy Purity Cleanser was my favourite but after using this product again there is no doubt in my mind that no, this definitely is. It is definitely worth the hype and if you are yet to try it then please, give it a go! "Apply this luxurious facial oil before bedtime to visibly plump and smooth mature or very dry skin, or balance combination skin by morning. Soothing pure essential oils of neroli, lavender and chamomile also help aid a peaceful night’s sleep." I won't lie to you, I had absolutely no idea what the Liz Earle Superskin Concentrate For Night was or what it was supposed to do when I first pulled it out of the set but after just a couple of uses, it is safe to say that I love it! Not only does it smell absolutely beautiful but because of all of the natural ingredients within, it is so soothing to the skin after a tiring day at work. The rollerball application makes it incredibly easy to apply to the skin and I like to apply it just under the eyes and onto my cheekbones before gently blending it all in. The concentrate is oily in texture and consistency but it blends into the skin wonderfully and doesn't make the skin feel greasy or oily. 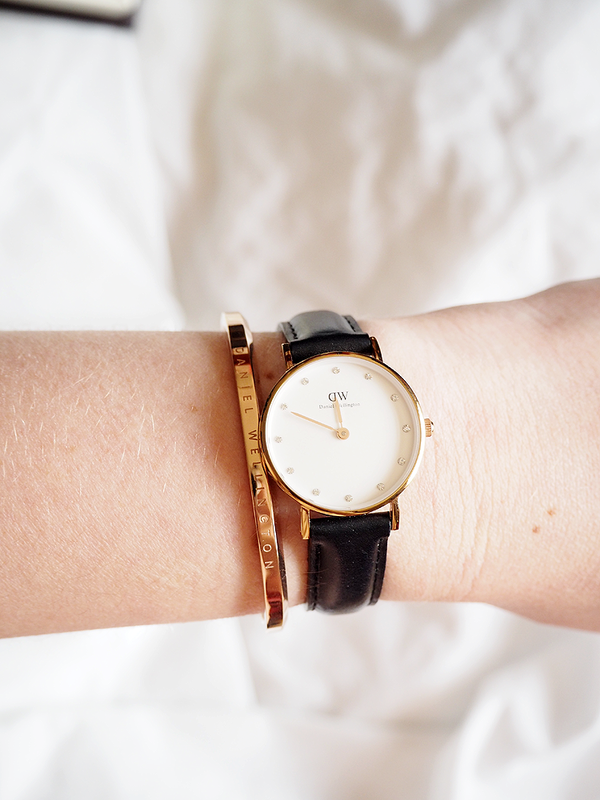 Watch out for a full review on this beauty as I absolutely love it. "This non-drying floral toner is alcohol-free and leaves a fine layer of moisture to brighten, refresh and pamper all skin types. Infused with revitalising aloe vera and skin-soothing calendula, chamomile, cucumber, it also smells heavenly with a spirit-lifting blend of rose-scented geranium, lavender and sweet orange pure essential oils." The Liz Earle Instant Boost Skin Tonic is a wonderfully refreshing toner, and perhaps the product I was most excited about trying. I have heard such lovely things about this toner and I can understand why as it smells absolutely incredible! With a heavy floral scent, this toner is perfect for waking up the skin in the morning and it has quickly slipped into my everyday routine. Considering I spent just £12 on this set, I am over the moon with the contents inside. You have the Hot Cloth Cleanser which should be a staple in everyone's everyday skincare routine, you have the Superskin Concentrate For Night which is an incredibly soothing night time oil which helps to soften dry skin on the face as well as an aid to help you sleep and the Instant Boost Skin Tonic which is a really refreshing mist spray which helps to perk up and wake up the skin of a morning. I am obsessed with everything and you can never have too many muslin cloths, can you?! The Lush Cupid Bath Bomb smells absolutely incredible. It smells really sweet with the rose petal powder, the violet leaf absolute and with the persian lime oil, almost making the bath bomb smell like a Refreshers sweet or a nostalgic Parma Violet. I don't usually enjoy really sweet scents but I absolutely adore this and I would go as far to say that if you could bottle Valentine's Day up as a fragrance then it would probably smell like this. 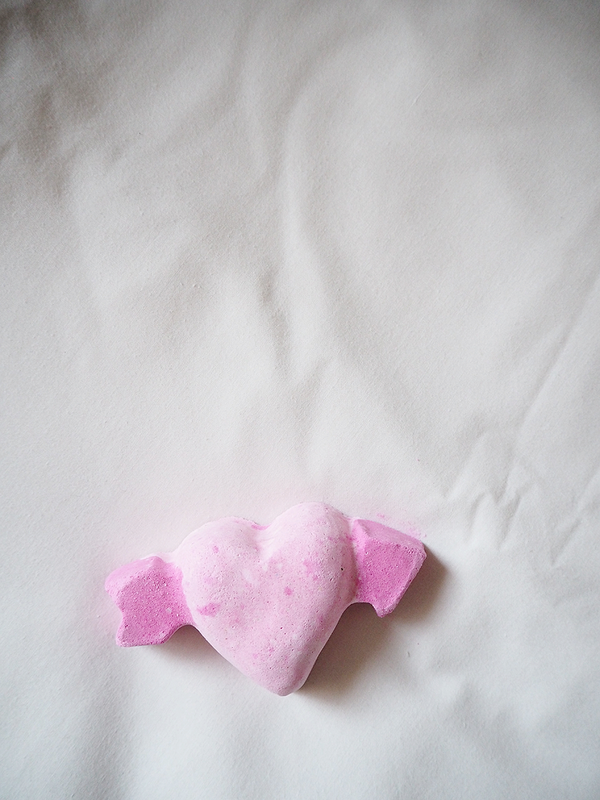 The Lush Cupid Bath Bomb is, naturally, heart shaped with an arrow bursting through it, just like a Cupid's bow. In comparison to other Lush Bath Bombs, Cupid is slightly smaller so it is only destined for one use, although if you manage to get two uses out of a Bath Bomb then wow, well done you. I love the Intergalactic Bath Bomb but at £4.25, I try not to buy it too often as it is an expensive product to watch float down the drain. If I could easily chop it up for a few uses without the use of a power tool then I would happily do so but as the Cupid Bath Bomb is really reasonable in price, I don't mind buying a couple. When dipped in hot water or run under a hot tap, the middle fizzes out white foam whereas the arrow fizzes out a hot pink. Everything twirls and floats around nicely in the bath and slowly a white foam is formed, leaving the bath water a very mild shade of pink but nothing too extravagant or out of the ordinary happens in terms of performance. For me, the best part of this bath bomb is the smell. It smells so sweet and so much of old school, nostalgic childhood sweets, it instantly brings back some old memories. If you pop into a Lush store before Valentine's Day, I would definitely recommend you pick one or two of these Cupid Bath Bombs up. It may not be a firework display in the bath tub but the smell alone is worth a purchase! I recently mentioned how it took me a long time to get on the Beautyblender bandwagon and now that I'm on it, I don't particularly want to get off it. 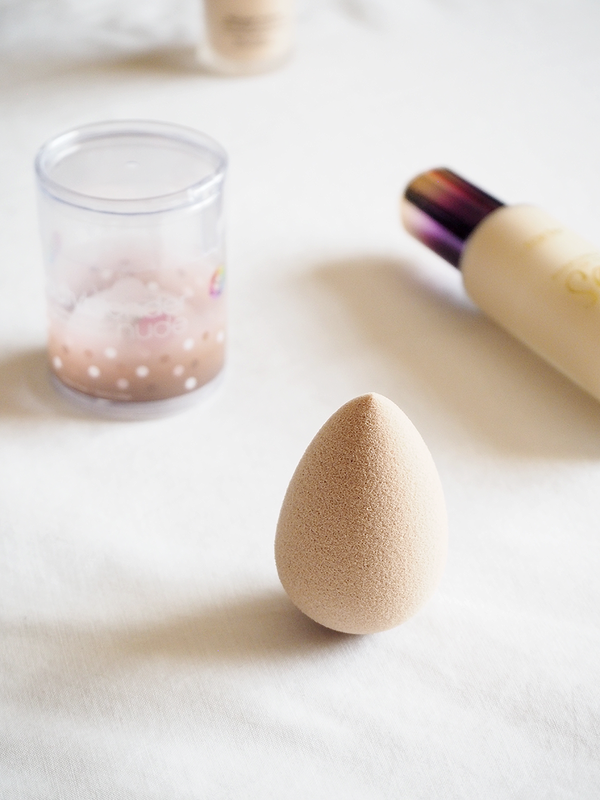 I can't believe how well one little tear-shaped sponge can expertly blend out foundation seamlessly without the streakiness that foundation brushes can give you. They may be expensive at £16 a pop but boy, are they worth it. 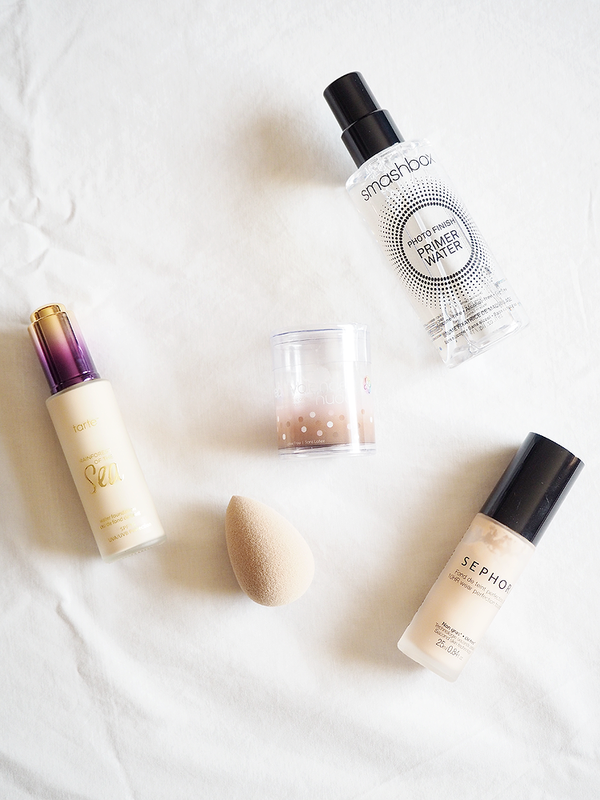 Whilst a Beautyblender is perfect at blending foundation all over the face, I find that it doesn't work as well in certain areas such as underneath the eyes or round the nose. This is because the Beautyblender works wonders on large areas but perhaps something smaller would be better for smaller, more delicate areas. I know Beautyblender themselves offer a Beautyblender Micro Mini Duo set for the smaller areas, although they are slightly pricey at £14.50 for two so fortunately, the wonders that is Real Techniques have created their Real Techniques Miracle Mini Eraser Sponges which do exactly the same job, plus a hell of a lot more, at a third of the price. "Erase makeup mishaps with the 2 pack of Miracle Mini Eraser Sponges from Real Techniques. 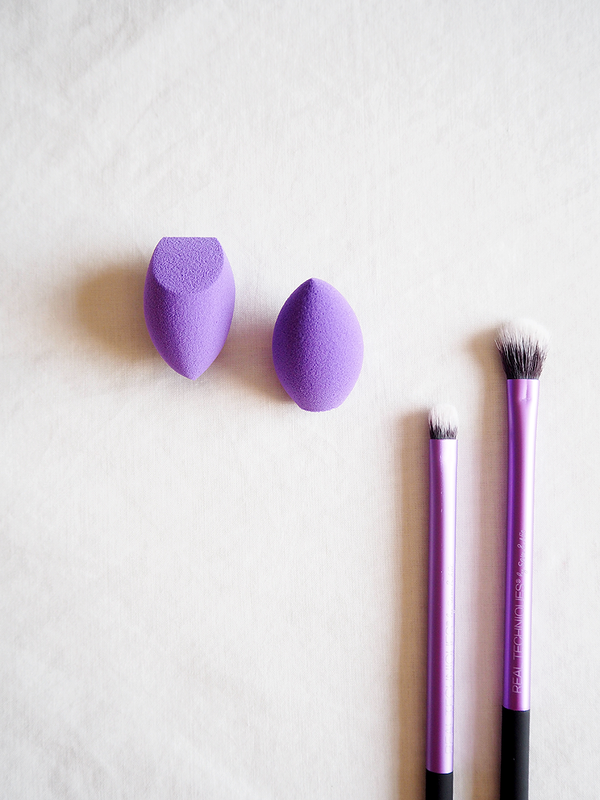 The mini purple sponges can be used damp or dry and boast flat edges, which are designed to help erase, rounded sides to buff and blend out makeup and a precision tip for a targeted sweep. The Miracle sponges are an essential tool for your makeup bag, with the ability to sweep away eyeshadow that falls under the eye, erase eyeliner gone wrong, wipe away mascara smudges and blend away over applied blush or highlighter, resulting in a more professional finish to each of your makeup looks." The Real Techniques Miracle Mini Eraser Sponges look just like the Real Techniques Complexion Sponges, only smaller, and not orange. 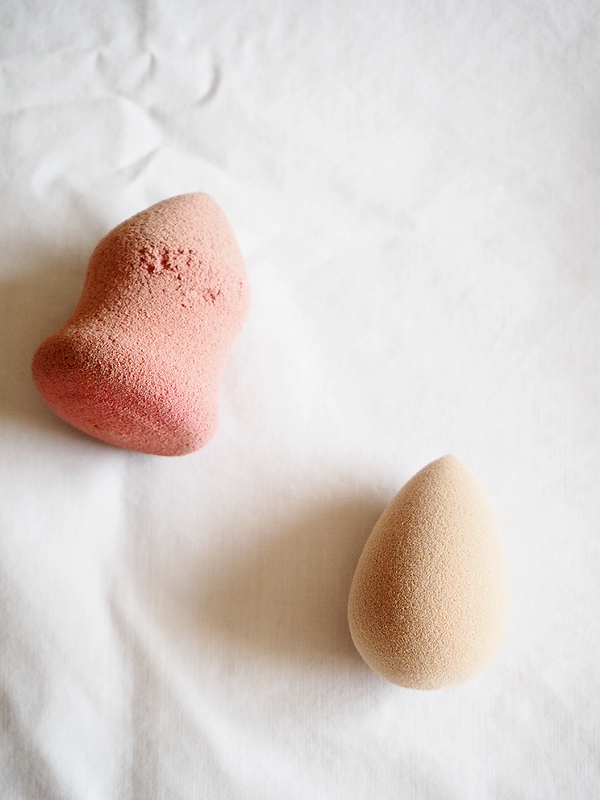 They work in the same way as a Beautyblender in that you have to wet the sponges first so they double in size in order to really get the most out of the product, although one difference is that this product promises to do more than the Beautyblender claims. The Real Techniques Miracle Mini Eraser Sponges claim to sweep away fallen-out eyeshadow, erase eyeliner which has gone wrong and blend out blusher which has been applied a little too heavy-handedly. For a little sponge duo, they claim an awful lot - but do they actually work? The first time I used the Real Techniques Miracle Mini Eraser Sponges, I used it to blend out the concealer underneath my eyes and around the nose area. I usually use my Beautyblender to do this but I find that it can really irritate my eyes so I thought something smaller and more delicate would do the job without the irritation. I found the Mini Eraser Sponge worked really well on this area as it did the same job as the Beautyblender and it blended the concealer out seamlessly, although I didn't find it worked as well around the nose so for that I used the Beautyblender, which blended everything out straight away. Other than using the Mini Eraser Sponges for blending in concealer, they are perfect for erasing fallout underneath the eyes. In fact, I use one of the two sponges for this purpose entirely. I use my Morphe 35OS Eyeshadow Palette every day and I find that I get quite a lot of pigment fallout so these little Eraser Sponge work wonderfully well at wiping everything away. Another great use for this little product is wiping away uneven winged eyeliner. I will admit that some days it takes me a few attempts to get it perfect so I would usually wipe it away with a damp cotton bud but now I use a damp Eraser Sponge which does exactly the job you would want it to do but without tugging and pulling. They are also great for dipping into your loose powder and using to bake underneath the eye area. They have so many uses making them a make-up bag essential! I really like these little Real Techniques Miracle Mini Eraser Sponges and because they have so many uses to them, I think they are handy little tools to keep in your make-up bag. Not only are they great for blending out concealer underneath the eyes and other delicate areas but they are also great for erasing make-up mistakes and sweeping away any make-up fallout. Forget the Beautyblender Micro Mini Duo set and get these instead. Following on from my last post where I raved about the NYX Glitter Primer, I think it is time to rave about the accompanying product - the glitter! I said in my most recent post that when I am laying in bed unable to sleep at night the one thing I do is look through Instagram at either nail art or eyeshadow to try and find some inspiration for the next day and the most popular looks I have seen time and time again is either a cut crease or glitter which has been tightly packed onto the eyelids then finished off with jet black eyeliner. I absolutely love these looks and wanted to create my own so I thought I would try out some glitter pigments myself and see if they are as much hassle as they first appear to be! After picking up the NYX Glitter Primer, I then browsed their glitter pigments. With 12 shades available, there is a reasonable selection to choose from, ranging from bright violet to gunmental grey. As the copper shade was sold out, which would have been my initial first choice, I then decided to go for the NYX Face & Body Glitter in Rose. "NYX Face & Body Glitter is a vibrant glitter makeup for the face and body that instantly infuses sparkle and style to any look, day or night. Available in 12 light-catching shades, ranging from ruby red and multi-coloured purple, to bronzy brown and yellow gold. Pair with our Glitter Primer for a sparkle-perfect look." The NYX Face & Body Glitter comes housed in a small 2.5 g pot which has a shaker style dispenser at the top of it meaning that the glitter doesn't come gushing out when you are trying to apply it. This is great as it means that you don't waste any product but I do find it slightly tedious trying to shake out a decent sized amount into the lid to get enough product out to cover both eyelids. Let's face it, glitter pigments aren't the tidiest or neatest of products to use but I'm not sure if I would prefer just an open twist up lid like on the MAC Pigments. Although if I knocked the whole pot over onto my carpet I would be devastated so I am not sure which style I would prefer best! The NYX Face & Body Glitter in Rose is a really pretty metallic pink shade, although when I do hear rose as a colour I immediately think of rose gold, a shade it most certainly isn't! 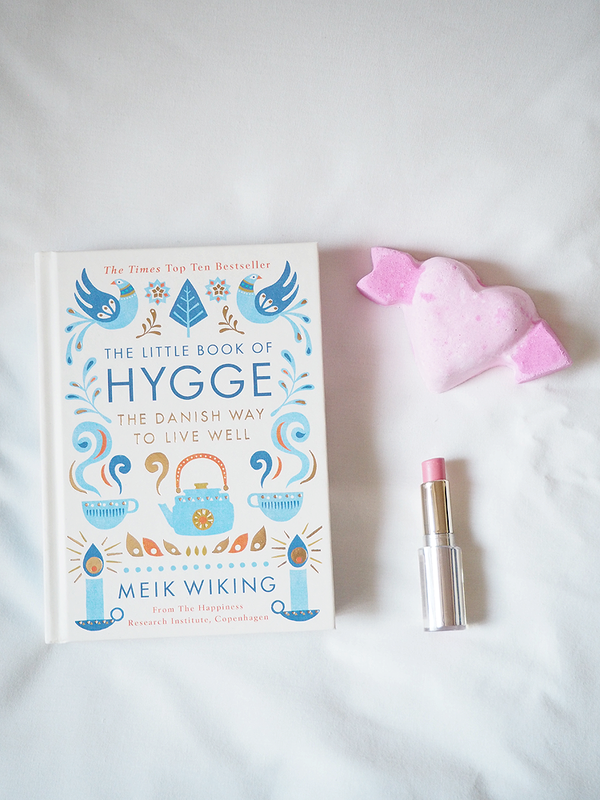 Instead it is a really pretty and wearable pink which is perfect for parties, evenings our and even day-to-day use. I wouldn't shy away from wearing this shade to work although I do like to experiment with my make-up on a day-to-day basis, regardless of if I have to go to work or not. Application of glitter pigments looks like an awful lot of faff and mess but actually it is so incredibly easy! I wouldn't use this product without the NYX Glitter Primer. It is a godsend. I first apply my eye bases and eyeshadows like usual, then I pat on the NYX Glitter Primer using a flat eyeshadow brush. Then, I shake out some of the Rose glitter into the product lid then using the same brush as before, I dip it into the glitter then press it onto the eyelid. It sticks instantly like glue as the primer is really tacky in consistency and it dries clear, meaning it is really easy to build up the glitter on the eyelid so you can really pack it on to get one shimmering, sparkling, glittering eyelid. I am obsessed. 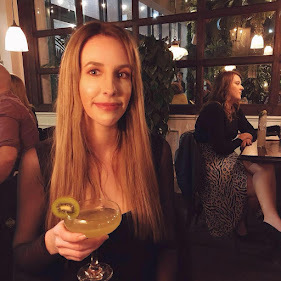 Throughout the day I received so many compliments on the glitter which was rather flattering and best of all, with the use of the primer it meant that the NYX Face & Body Glitter stayed put all day long without budging, moving, fading or creasing. Another worry I had when it came to wearing glitter on the eyelids was that it would be uncomfortable but that is absolutely not the case. Because the glitter is pretty finely milled and there isn't great big massive chunks of glitter thrown in there, it doesn't feel as if you are wearing anything at all. I absolutely love the NYX Face & Body Glitters and I can't wait to get some more! Sometimes all you need is a bit of glitter. How can you be unhappy when your eyelids are sparkling rose gold? When I can't sleep at night I scroll through make-up looks on Instagram for hours on end and I realised that I really needed to try out some glitter pigments, especially rose gold and coppery tones as they look so pretty with black sharp-as-a-knife winged eyeliner. After a long time searching, I finally came across glitter pigments in Boots and not only did they offer a whole shade range of pigments, but also a glue-like product to keep everything in place on the eyes. The product? 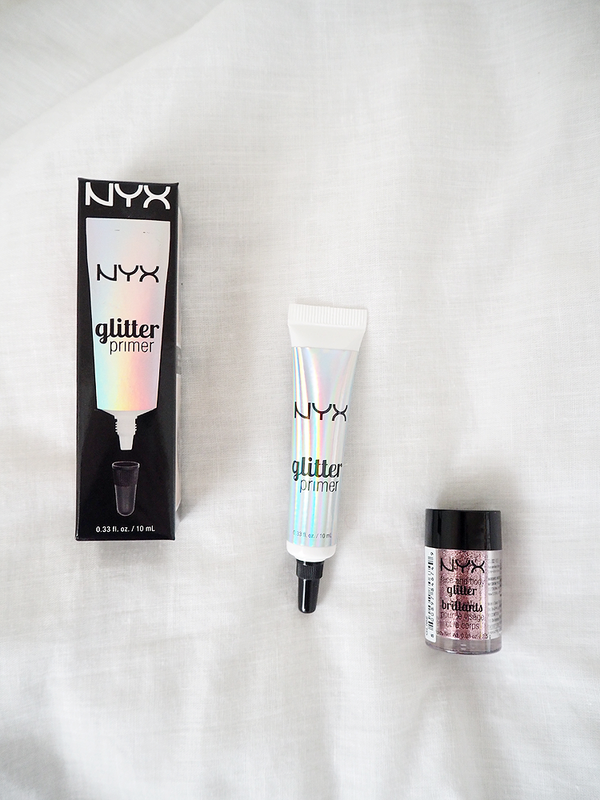 The NYX Glitter Primer. 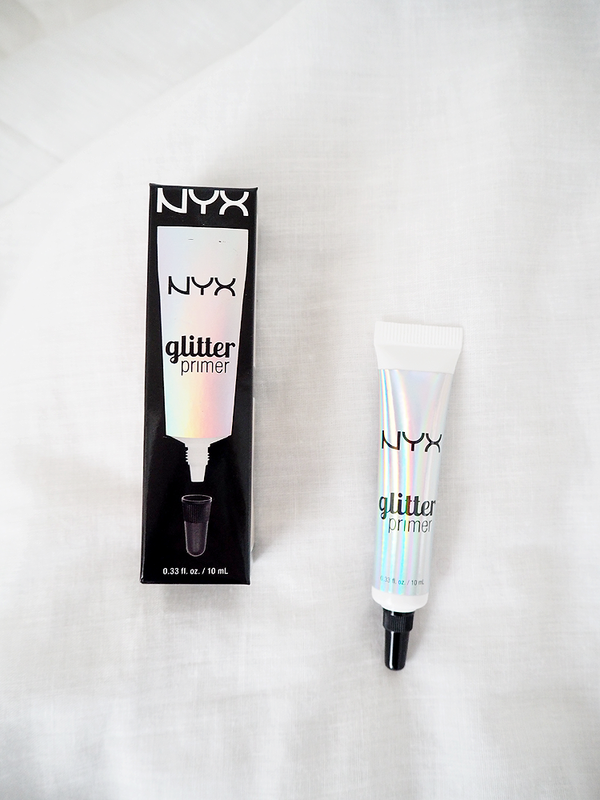 "A lightweight, easy-to-use glitter primer specially formulated to keep all of the 12 NYX Face & Body Glitters in place. Minimize glitter fallout and help keep each and every sparkle in its place with our Glitter Primer - a light and creamy formula that sets and then holds on tight to NYX Face & Body Glitter." 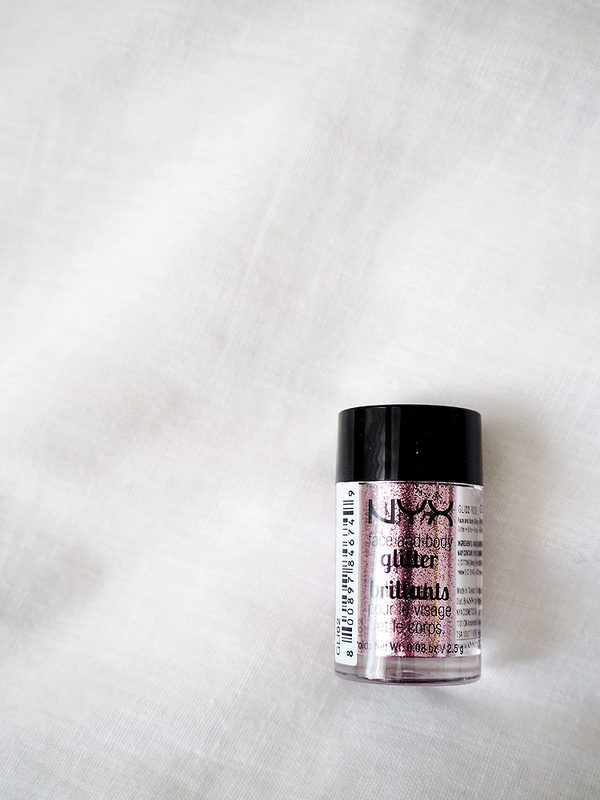 The NYX Glitter Primer is designed to keep hold of and set glitter in place on to the face and the body. It is a really lightweight and creamy product which has the same tackiness to it as lash glue does, although not as thin. As it is a primer, it is designed to be applied before glitters and other pigments, meaning that it dries down completely invisible and acts as a glue to keep everything in place and it does absolutely everything you would expect it to do. The primer itself comes in a 10ml squeezy tube which has a really small hole at the end so you never squeeze out more than what you need. The product itself is almost a pale yellow in colour which is really creamy in consistency and has a tacky feel to it which gives the glitter something to grip hold onto. When it comes to application I was a little unsure as to how it is best to apply it so I applied my base eyeshadows and colours in the way I usually do, then I squeezed out the tiniest spec of product onto the back of my hand. I then grabbed a flat eyeshadow brush, dipped it into the primer then patted it all over my eyelid or where I want the glitter to go. I then dipped the same brush into my glitter and pressed the pigment all over the eyelid where it stuck immediately. I had to apply quite a few layers in order to really build up a fully opaque block of glitter onto my eyelids before applying my eyeliner on top. The glitter stayed put all. day. long. It did not budge once, nor did I experience fall out or the glitter moving throughout the day. The NYX Glitter Primer keeps everything in place all day long and acts as a glue to keep everything together - I really cannot fault it! My new pride and joy. Apparently money can't buy you happiness but I really beg to differ. Whilst a new bag or a new pair of shoes won't cure the common cold or heartache, they sure do make me happy. Besides, I would rather be miserable with a new bag on my shoulder or with a new pair of shoes on my feet! 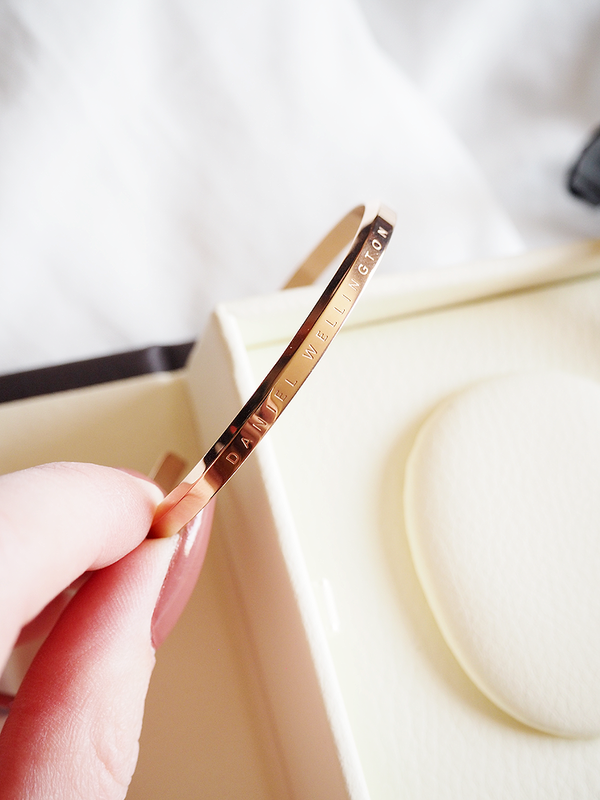 If you read my recent Bicester Village haul then you would have seen this little beauty. I have always wanted an expensive nicer handbag. Whilst the bags from New Look, Topshop and River Island are nice and all, they aren't luxurious or something which I will cherish and look after. Don't get me wrong, I don't throw money around like there's no tomorrow or buy one Gucci handbag after another, but I don't feel like I would be upset if the strap broke on my £19.99 New Look handbag. Sure, I would be annoyed but I wouldn't sob over it like I would if I had saved up for a long time and bought the bag of my dreams. 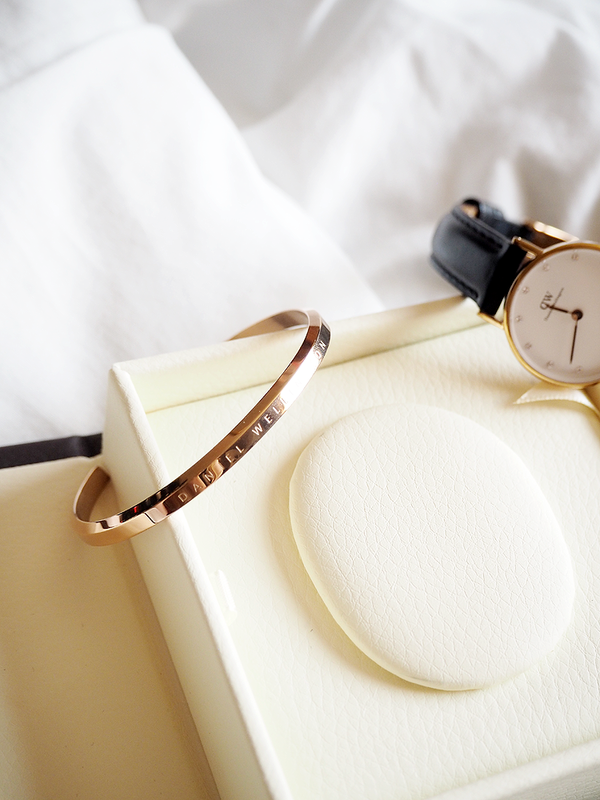 I want to work hard, save up for a long time and be able to purchase something which I will keep and be able to look back at and say "that is the result of my hard work." I would never buy anything for the sake of wearing a name tag on my arm but I do believe in treating yourself to nice items occasionally. 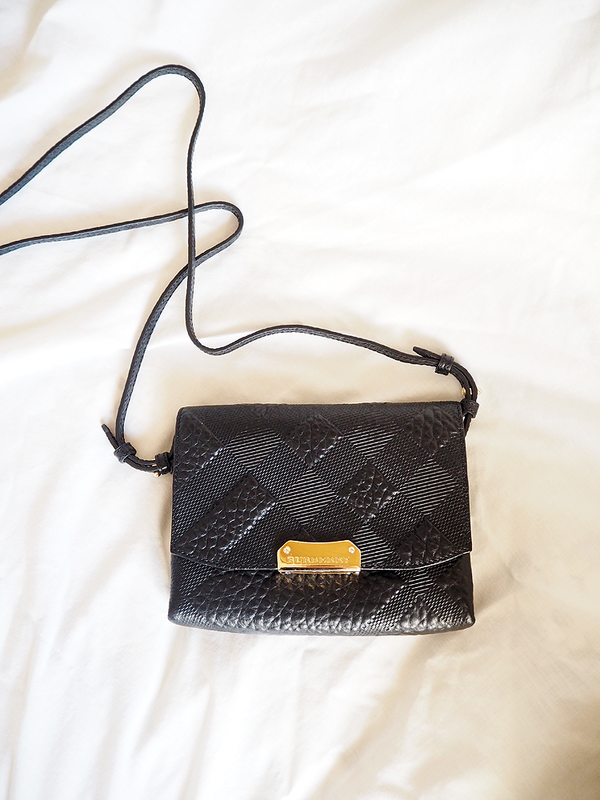 The Burberry Langley Crossbody Bag is a sweet little black leather bag which is to be worn across the body. It is made of the softest leather and has wonderful gold hardwear throughout the bag with a really secure little lock on the front. Size wise it is quite small so it isn't an everyday bag but it is perfect for a nice occasion where you don't need to carry around lots of rubbish with you. It holds my phone comfortably but it probably wouldn't fit an iPhone 7 Plus. It fits my credit card, ID, phone and house key comfortably, although I do have to take my house key off of my usual set of keys as there is no way my fluffy pom pom key ring is fitting in there! I bought this bag for a real bargain at £119 which was down from its RRP price of £525, meaning I saved £406 which is pretty remarkable. I really cannot recommend taking a little trip out to Bicester Village if you were thinking of making a designer purchase. They might not have all of the bags in the current season out on sale for half price but you can find some real gems in there. The next bag on my 'to-save-for' list? The Chanel Boy Bag in Gunmetal Grey. Each week I take all of the change from my purse into a jar to save up for it. So far I have saved £13.48. If I carry on at this rate I will be able to afford it in about 13 years time! What's a better way to spend the final day of 2016 than by spending a lot of money on things you don't really need? On New Years Eve my family and I decided to go to Bicester Village for a little look around the shops in the hope that we will be able to afford all of these expensive, lovely things this time next year. I had been once before years ago and the only thing I could afford to buy was lunch and whilst that hasn't really changed, I did get a bit carried away and buy a few little items. Including a Burberry handbag. Eeeek. In my defense, everything had extra money off and I felt like I deserved a few nice things after a particularly stressful year. 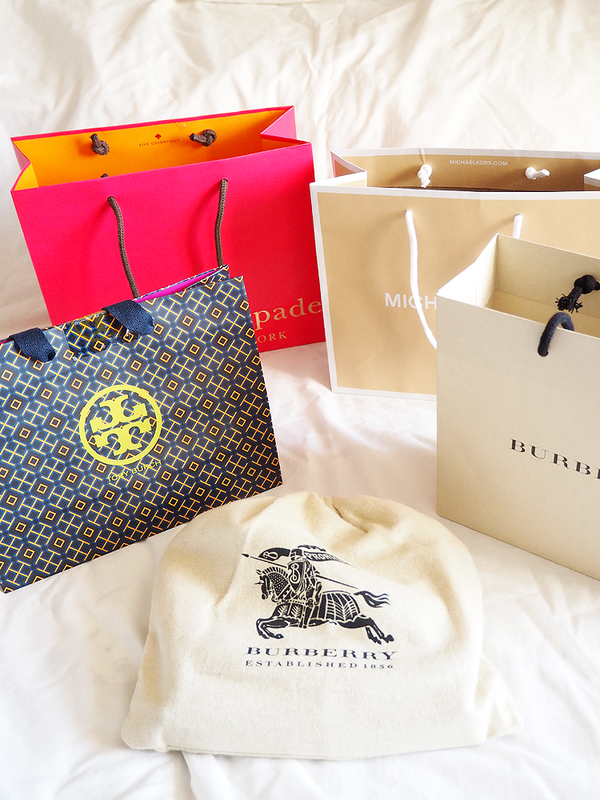 One of the reasons why I love going to Bicester Village is because I would never normally venture into any of the shops that they have there. Would I usually walk into Burberry or Prada? Absolutely not. But it is fun walking around and looking at what each brand has to offer, although the snobby security guards and sales assistants who look down on you when you walk into each store can kindly go and sit in a small room and remember what their job title is and somehow, I don't think it is to be judgemental little so and so's. Prada and Gucci in particular were incredible for this. On the other hand, the people in Burberry and Tory Burch were really nice and helpful so I guess you just have to like it and lump it. So, let me show you what I bought! We started off in Kate Spade where I immediately went and bought a hot pink purse. It is a lot smaller and sleeker than the purses that I am used to which is great as the bigger the purse, the more crap you can shove into it. It's amazing how many old receipts you can carry around with you all year long, isn't it? There were so many gorgeous purses in Kate Spade and I was so torn between a handful but in the end I decided to choose the Kate Spade Cameron Street Stacy Purse in Pink Confetti. Inside there is space for 13 cards, notes and change although I will try not to carry too much change around with me as I don't want to make it too bulky. What drew me to this purse over a few of the others is that this is fairly sleek and streamlined so I don't want to bulk it out too much so it loses the features which drew me to it in the first place. This purse originally was £130 but the outlet price was £78. It was then in the sale at £49 and then on the day I bought it they had an extra 20% off, meaning I paid £39.20. Thank you Kate, thank you. We then ventured into Tory Burch which had the happiest and nicest sales assistants. 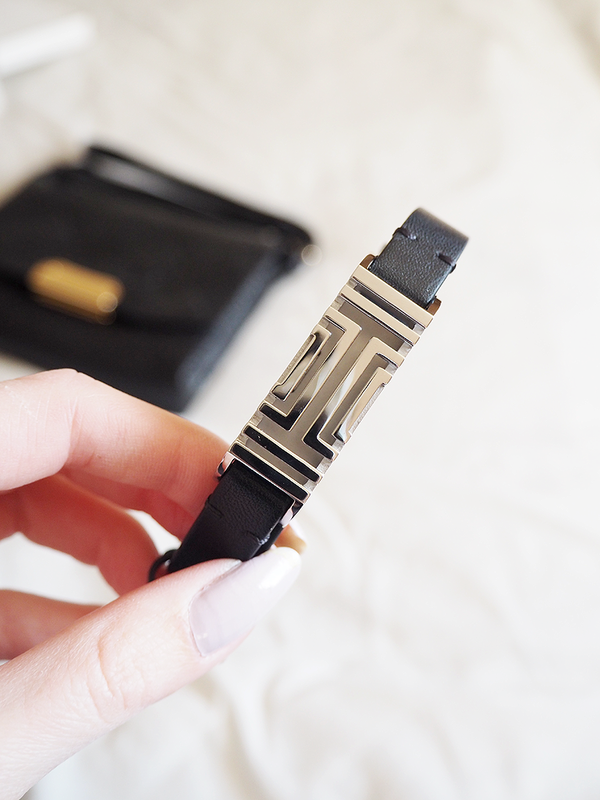 I immediately spotted something I have been after for a very long time - a Tory Burch For Fitbit Double Wrap Leather Bracelet. The idea of it is that you place your fitbit into the caging so you can wear something much more aesthetically pleasing than the ugly sillicone strap which is the norm of a Fitbit and still track each step you take a day. I am so pleased I manged to find one of these, and for so cheaply too. These retail at £150, it was on sale in the Tory Burch store for £32 and because they had a store promo that day, I had an extra 20% off meaning I paid £25.60 for it. After a coffee break we then headed into Michael Kors which is just what I imagine hell to look like. Michael Kors on a Saturday afternoon is a bit like hell on earth. Don't get me wrong, it has some really beautiful handbags and purses but wow, if you hate crowds then you would not want to even step foot inside that store. I persevered and actually managed to buy the cutest luggage tag, all for a mere £6. Whenever I go on holiday for some reason in between the time it takes me to drop my suitcase off at check in, to the time it takes me to pick it back up again from baggage reclaim, I simply forget what my suitcase looks like. Was it black? Blue? Did I even bring a suitcase with me?? 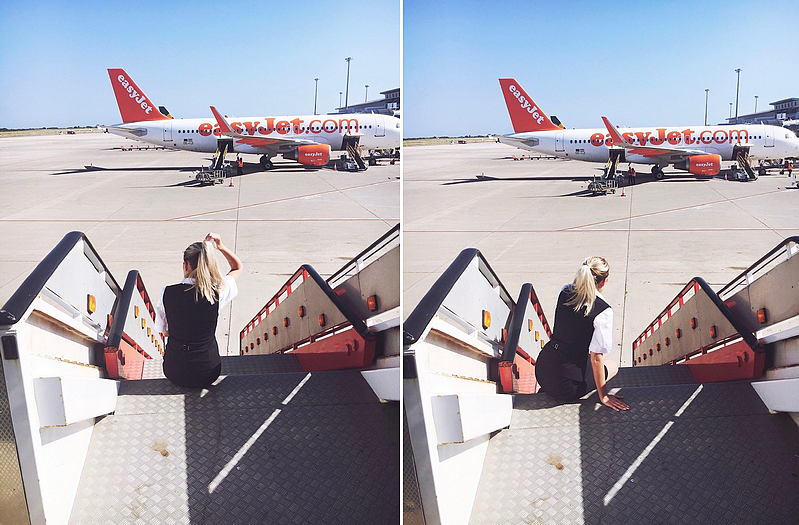 When I went on holiday to Dubai in September, I watched my suitcase go round the conveyor belt 6 times before a bolt of realization hit me that the last suitcase left might possibly be mine. 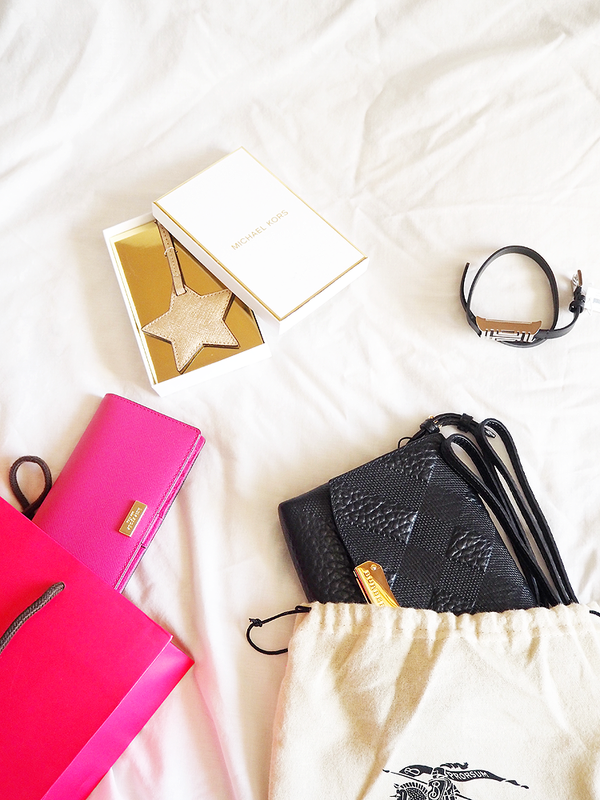 Which is why I purchased the Michael Kors Gold Star Saffiano Leather Luggage Tag, in hope that this small star accessory will remind me which suitcase is mine. Unless I forget I even bought the luggage tag, in which case I really am screwed! I paid £6 for this luggage tag and it was originally £25. And finally. I saved the best until last. Burberry was actually the first shop we stepped into and whilst my sister and my aunt looked at the classic trench coats, I was looking at the handbags and immediately spotted this beauty. A small, black, classic cross-body bag made out of the softest leather. I tried it on, stroked it and told myself that if it was still here at the end of our shopping day then I would come back and buy it. So I did. It is my first designer handbag purchase and whilst I am a massive lover of saving money, I really couldn't resist buying it, especially considering the price. The Burberry Langley Crossbody Bag is much smaller than what I am used to bag-wise and it may not be able to carry anything more than my phone, a credit card and a key but what more do you really need to carry around with you?? The Burberry Langley costs £525 but because it was in the sale I paid £119. £119. Seriously. £119 is still a lot of money for me to spend on a bag but considering it is my first designer handbag purchase, I think that is a pretty healthy and reasonable price to pay. I am completely over the moon with my purchases and whilst I did not set out to buy anything, I am really happy with what I bought. I may not be able to eat again for the rest of the month but at least I have a few lovely items to show for it!